I loved this book. 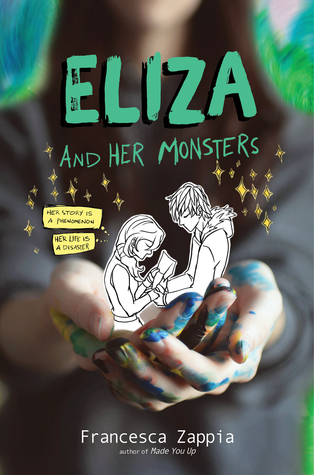 Granted, I tend to love books that deal with online relationships and online fandom and online culture and fanfiction and creators and so on—see Fangirl and Gena/Finn and The Truth Commission, for a few examples—but this one is a standout even so. The text threads are not only laugh-out-loud funny, they FEEL REAL. And even without the handles, all of the voices are distinct—they’d be recognizable WITHOUT the handles.